Once there, we were lucky enough to hang out with a RI native who also makes her home, for part of the year, in Italy. Can I just tell you what a difference it is to explore with someone who speaks the language flawlessly and is an expert in the food and wine? (Yup.) Now, if you don't happen to have a friend like this to show you around, you'll want to scan this list of key things (in addition to some of the more classic tourist destinations like the Duomo, the Uffizi Gallery, etc.) to see and do during your trip to Firenze. Visit the wall of chocolate at Venchi and pick up a few boxes to bring home. Pretty certain they are not gettable in the States. It's where Italians get their choc fix. Shop for leather. But probably not at the outdoor markets. Also, avoid any stores plastered with Outlet signs. It's probably a scam. We found a legit storefront, where the bags, jackets, and wallets looked, and felt, luxe, but at a fraction of the price of a line like, say, Bottega Veneta. 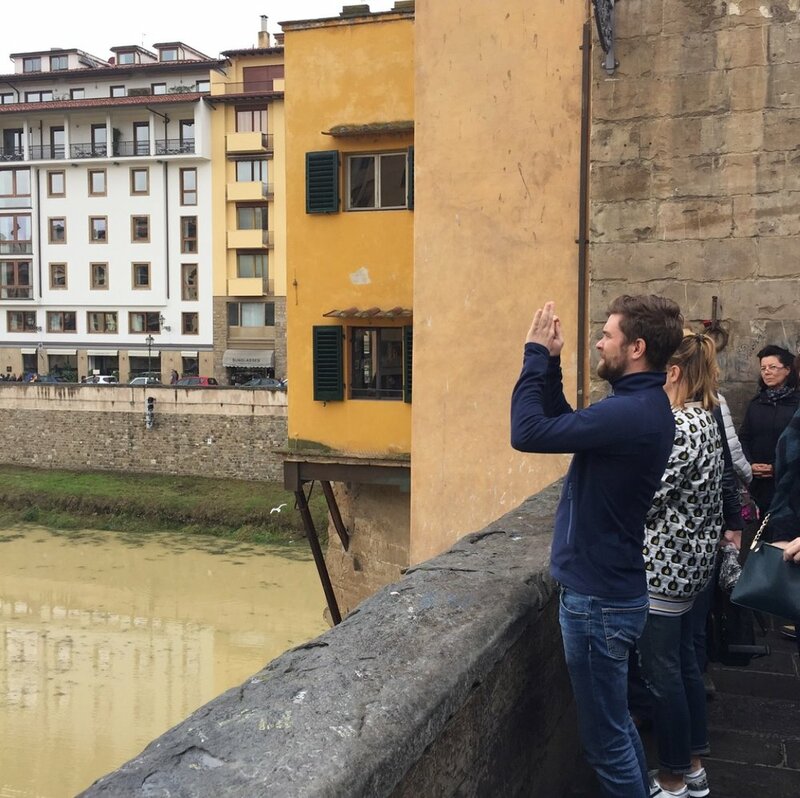 Take a selfie at the Ponte Vecchio (Totally tourist-y but everyone's doing it!) and spy the 'love locks' on display nearby. A backlash or response to them being taken down in Paris maybe? Copy cat the locals and take a 2+ hour lunch. With wine of course. (WE loved Coquinarius.) No time, or place, for an Italian 'siesta' immediately following? 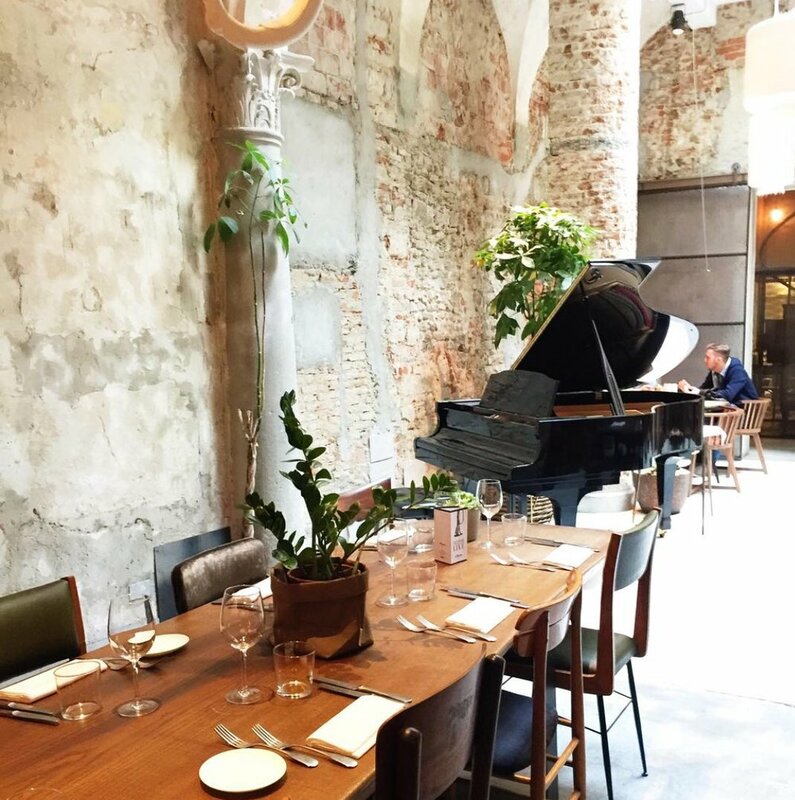 Make sure to have an espresso or Americano as an end note to your meal. Then, get out and start walking in the fresh air. It's the only way to avoid what we'd call in America (How you say...?) a food coma. Yes, Michelangelo is the man, but for all you fashion junkies, don't forget Gucci. (I speak Italian - Gucci, Ferragamo, Loro Piana.) 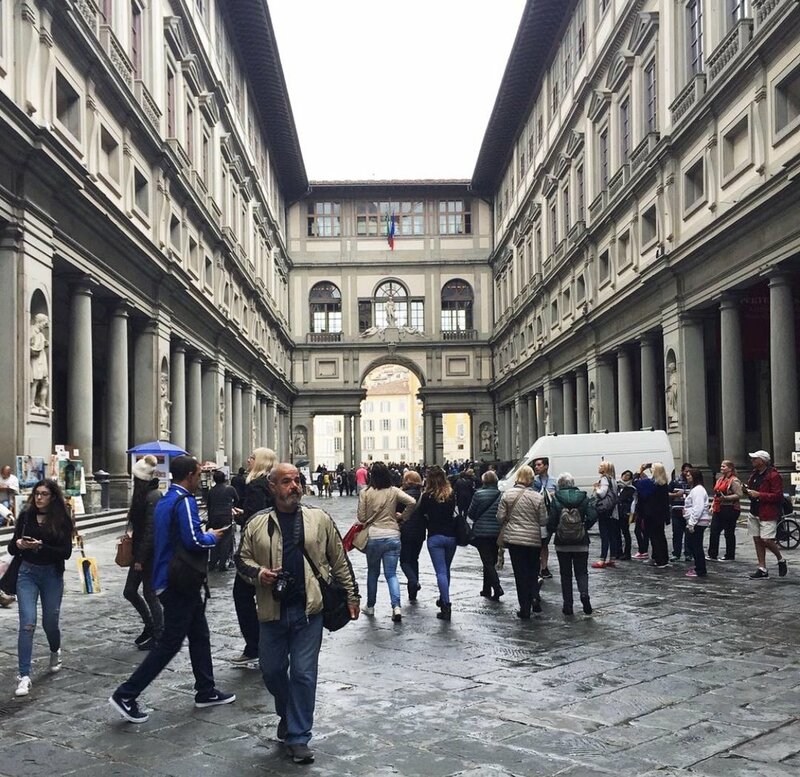 Specifically, the Museo Gucci on the Piazza della Signoria with exhibits of vintage bags, clothing, and more. Get gelato at Edoardo. It's all organic and equally as important, deliciouso. Def another spot where the locals and visitors-in-the-know go. The list of flavors and seasonal specials (Pear and choc chip 4ever! Or at least until pear season's over here.) is as long as the line we waited in to order. Also, they don't take (credit) cards, so make sure you have Euros.